When you ship with American eBox – you’re shipping with specialists in international shipping and courier delivery services! How Does Package Forwarding Work? - 4 Easy Steps! Sign up with our easy online registration form and instantly get your ownAMERICAN EBOX ADDRESS. 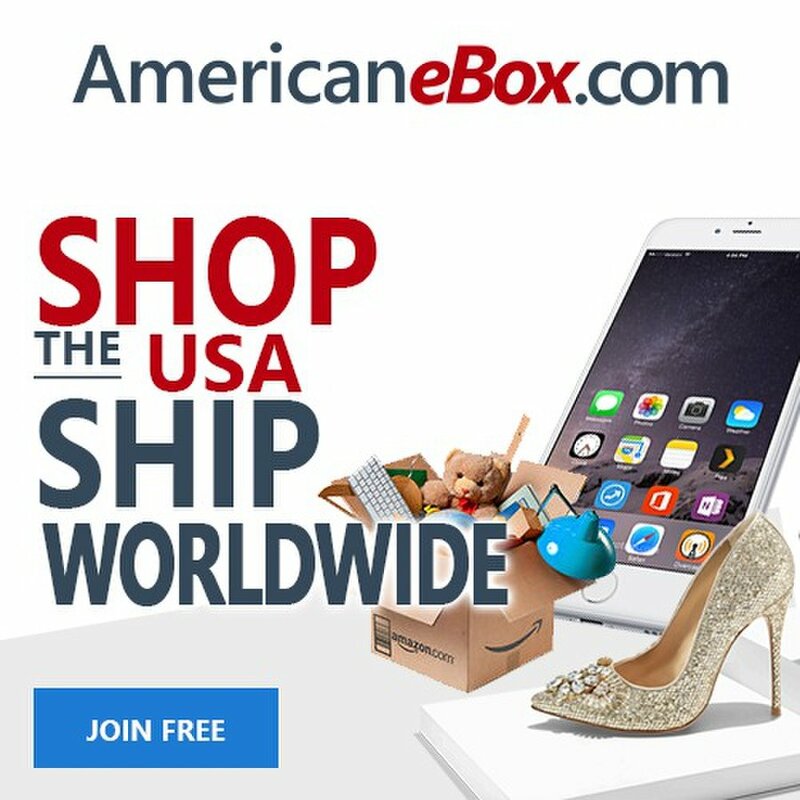 Shop top brands and deals at USA retailers, then ship to your American eBox address at checkout. When your packages arrive our warehouse, we notify you. Then save BIG combining all orders into a SINGLE SHIPMENT. Your purchases are delivered in just 2 to 4 days, and American eBox is there to help every step of the way!